Hicks Landscape offers synthetic grass solutions that provide an artificial, yet fully permeable surface that duplicates the feel and playing conditions of real grass. EasyTurf™ is offered in a variety of choices to meet the needs of residential and commercial applications — from families and pet owners to golf enthusiasts. 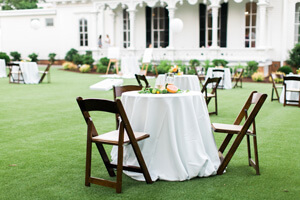 Easy Turf™ comes standard with a 15 Year Warranty and is the only synthetic turf approved by the Raleigh Historic Society. Created from Revolution fiber that uses state-of-the-art processes to closely replicate the look and feel of natural grass, EasyTurf™ looks more authentic than any other synthetic grass available. With a matte finish and true field and olive green colors, the fibers can flex, twist, and rebound like natural grass blades — without the sheen of an synthetic grass. Your EasyTurf™ synthetic lawn won’t fade and has a 100% permeable backing with built-in weed barrier. Click here to view our full EasyTurf™ product list. How is EasyTurf™ different from synthetic turf? EasyTurf™ is different from traditional synthetic turf with a fiber surface that is soft and silky instead of a dense, abrasive rug. Players can slide, tackle, and tumble on the unique blend of specially treated Polyethylene fibers without fear of abrasions. EasyTurf™ does not rely on an underlying shock pad for safety and comfort. Similar to its natural grass cousin, the fibers are surrounded by a special blend of synthetic “earth” — a patented mixture of smooth silica sand. A Hicks Landscape-installed EasyTurf™ surface is 100% safe for playgrounds and pets. The synthetic surface does not attract common yard pests, requires no chemicals, and provides a hypoallergenic surface. 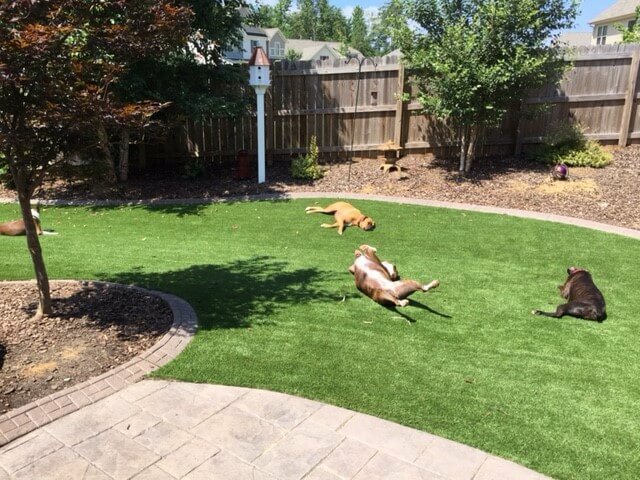 EasyTurf™ is perfect for pets, allowing liquid waste to drain right through, the grass typically never requires deodorizers or ammonia neutralizers to stay clean and fresh-smelling and waste won’t discolor or stain it. EasyTurf™ lawns can be enjoyed all day, every day with maximum strength weed prevention, odor fighting drainage and — compared to natural grass — never need watering, mowing or fertilizer. Another great benefit is that it can function with an existing irrigation system for summer cooling and cleaning. EasyTurf™ is a safe synthetic lawn solution for families and pets. With the look and feel of real grass, EasyTurf™ synthetic grass offers sustainable durability that cannot be achieved with a natural lawn. Harsh environmental factors and weather conditions have no impact on the color or quality of an EasyTurf™ surface. Indoors or out, EasyTurf™ allows for spectacular applications in creative designs incorporating existing landscape features, such as live trees and bushes, or around large objects and impossible angles. 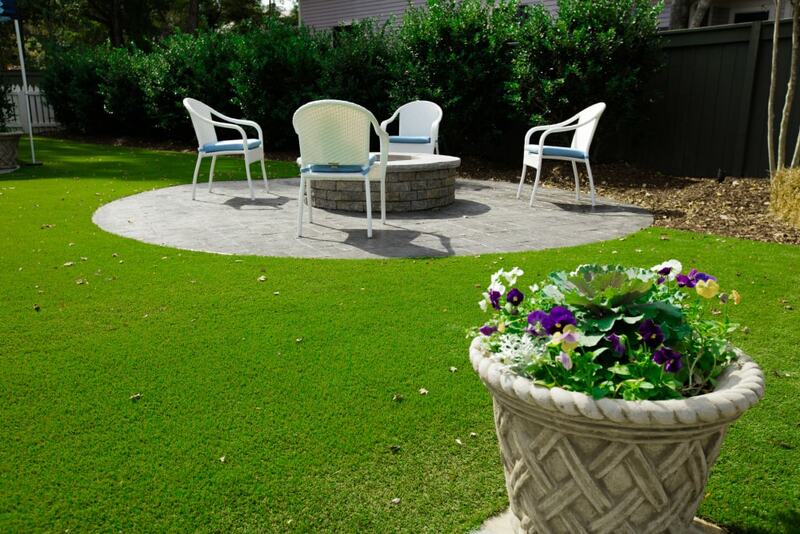 EasyTurf™ grass can work wonders for the durability and aesthetics of your lawn. 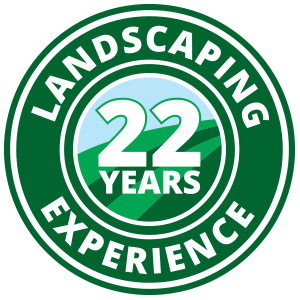 Take all the time and stress out of maintaining your yard, and contact Hicks Landscape today to schedule your free on-site consultation. Please view our Photo Gallery of locally completed jobs, and contact us if you would like to find more information or schedule a free project estimate.